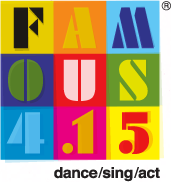 As you know, Famous is very much a community-focused organisation. As such, we’re always looking for ways to strengthen our links with the local area. Most recently, we’ve teamed up with the fabulous folks at Jesmond Nursery. With a commitment to making the most of a child’s individuality, and making learning fun, we’re confident they’ll feel right at home in The Famous Building. We’ll see them once a week throughout the Spring as their children use our spaces for singing and dancing activities; creative performance-based play, culminating in a celebratory ‘graduation’ ceremony in July. Pirates and Princesses, we can’t wait! There are currently no comments on Mini-4.15ers. Perhaps you would like to add one of your own?